Maintaining a healthy weight is more than just fitting into your favorite pair of skinny jeans – it’s an important way to look after your long-term health. More than two billion adults and children worldwide suffer from health problems as a result of their weight. Being overweight or obese can have serious complications, increasing the risk for conditions such as sleep apnea, diabetes, high blood pressure, heart disease, and stroke. It’s been shown that self-monitoring weight by regularly stepping on the scale aids weight loss and maintenance. Using a smart scale like QardioBase weight, BMI and body composition analyzer makes staying on track and motivated to maintain a healthy weight easy. QardioBase now works seamlessly with MyFitnessPal to help you understand how your diet is affecting your weight – allowing you to reach your weight goals even faster. Before considering setting a fitness or weight loss goal, it’s important to establish a health baseline by consistently tracking nutrition, weight, and body composition. Many people are surprised to find out they aren’t as active or eating as healthy as they think they are. Self-monitoring nutrition and weight using tools like MyFitnessPal and QardioBase help identify shortcomings in current habits and help understand how to make changes to work towards a healthier lifestyle. The benefits of self-monitoring are clear – it helps motivate us and give us insights and understanding to how well we are progressing towards our goals. But traditional scales are not always able to provide a complete picture of how our health and fitness goals are progressing, since they can only measure changes in body weight. This way it is not clear whether you are really losing fat, building muscle, or just experiencing normal weight fluctuations due to changes in things like hydration. Fortunately, with a smart scale and body composition analyzer such as QardioBase wireless scale you can get to know your body better and truly understand whether you are progressing towards your goals. Body composition is an important measure because your health is more than just a number on the scale. Many people set out with a weight loss goal, but when they say they want to lose weight, what they really mean is that they want to lose fat, while retaining or building muscle. This may cause the number of the scale to decrease at a slower rate, so having a scale that provides a full picture of the changes in your body composition is ideal for a complete picture of health and wellness. You can easily measure and track changes in your body composition as often as you like from the comfort of your home with a wireless scale and body composition analyzer such as QardioBase. 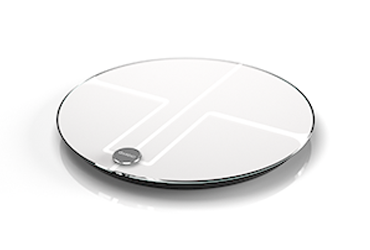 In addition to measuring your weight in pounds, kilograms or stones, QardioBase smart scale offers more metrics to help you focus on long term goals. QardioBase measures BMI, body fat percentage, muscle, water and bone mass. Once you have a smart scale to track body composition, using an application such as MyFitnessPal to record your daily nutrition and exercise will provide a complete view on how you are progressing towards your goal. The MyFitnessPal application and platform provides an extensive nutritional database, or allows you to create your own foods and save recipes for easy reference. This way you can keep track of your diet over time, measuring calories, and macronutrients such as carbohydrates and protein. One of our QardioBase users, David, told us how using QardioBase and MyFitnessPal together has helped him on his fitness journey. Tracking his weight with QardioBase and nutrition with MyFitnessPal, he saw that an increase in the amount of carbohydrates he normally has throughout the day led to a higher weight on the scale. Normally, this would have caused David to despair, and consider giving up. However, with the insight of body composition analysis, QardioBase revealed that his body fat percentage was decreasing while his muscle % is increasing – exactly what he wanted! He learned that the extra carbs were giving him the energy to push himself more in the gym, and work towards achieving his goal of getting stronger and more muscular while reducing body fat. 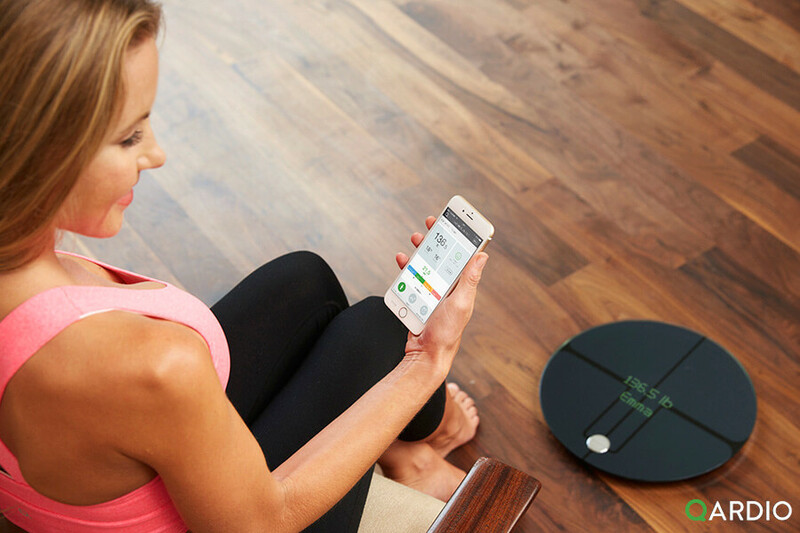 Achieve your goals faster than ever before and start tracking your weight with QardioBase, the smart scale and body analyzer that gives you the most insight into your body. It is the perfect weight loss companion, fitness buddy and weight tracker to help you stay on track with your fitness and health goals! Link your QardioBase data with MyFitnessPal account for faster results – learn how here.